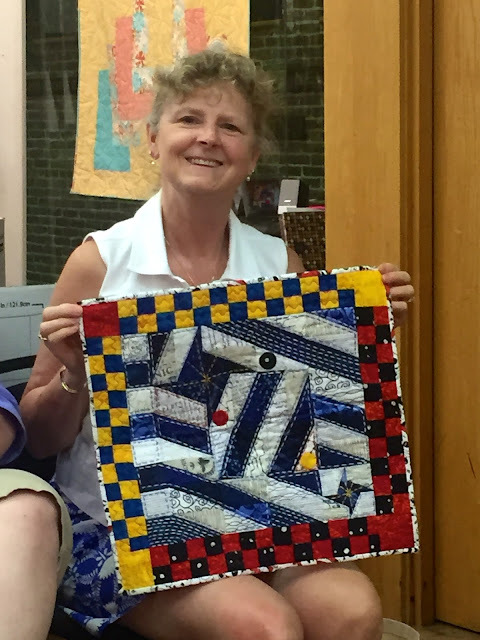 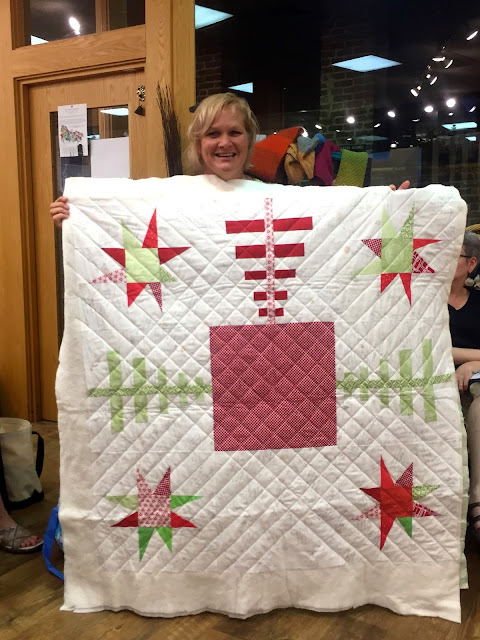 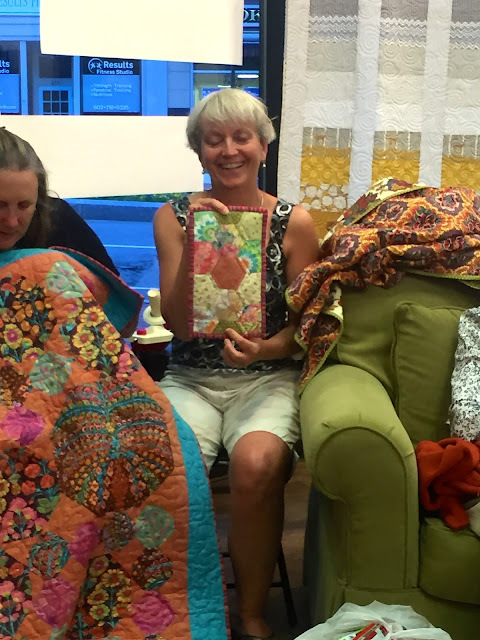 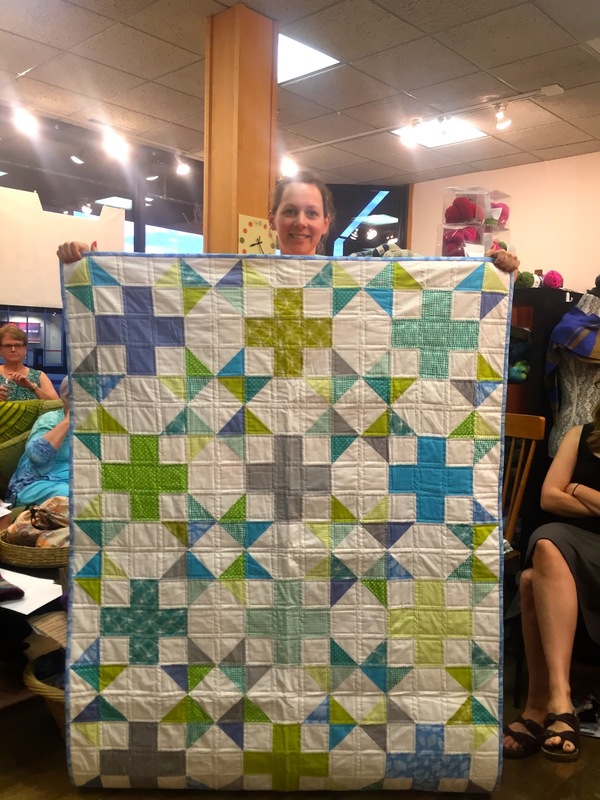 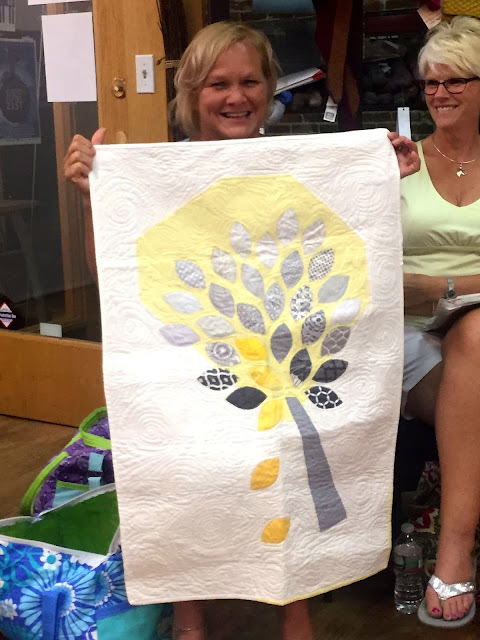 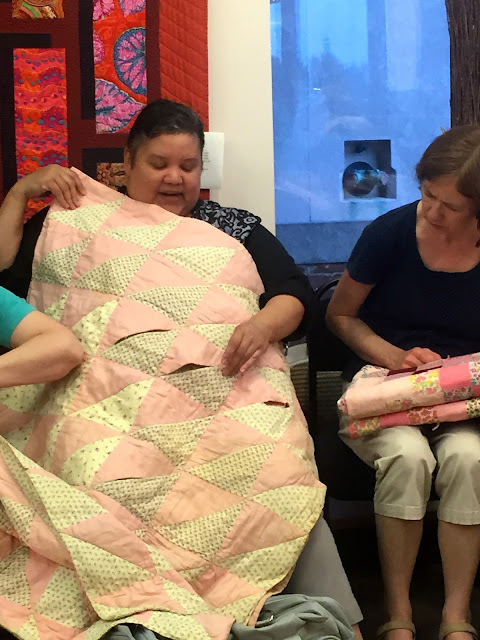 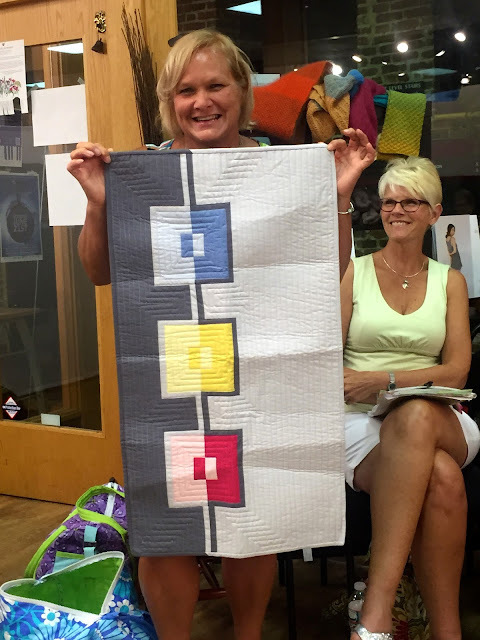 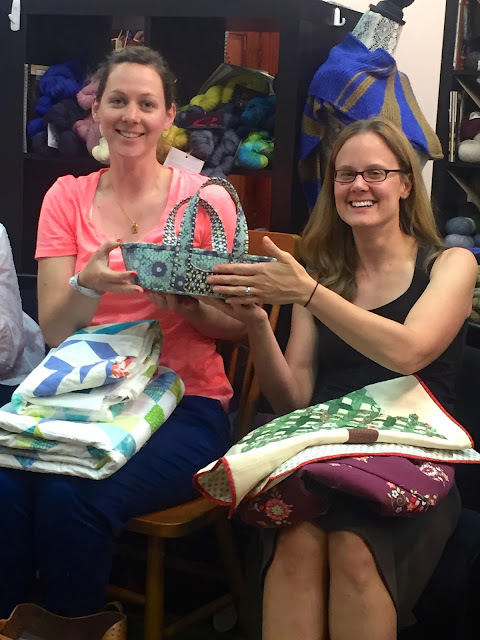 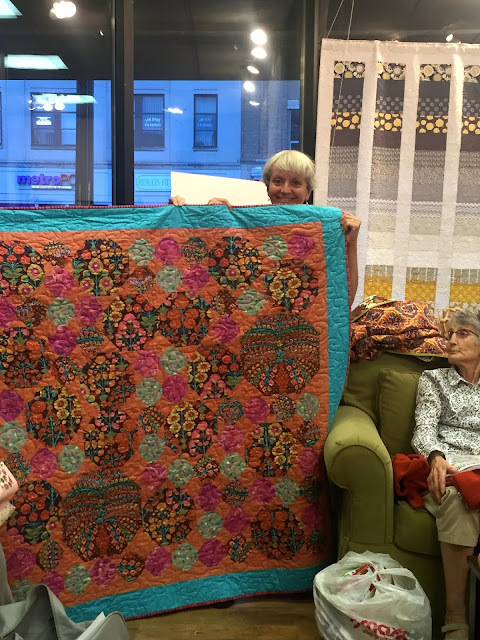 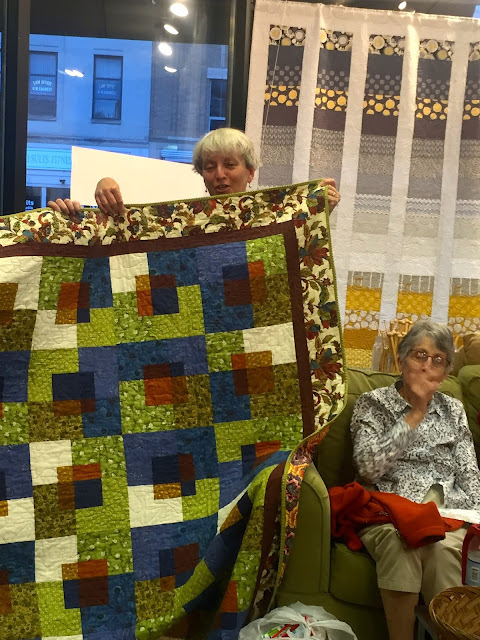 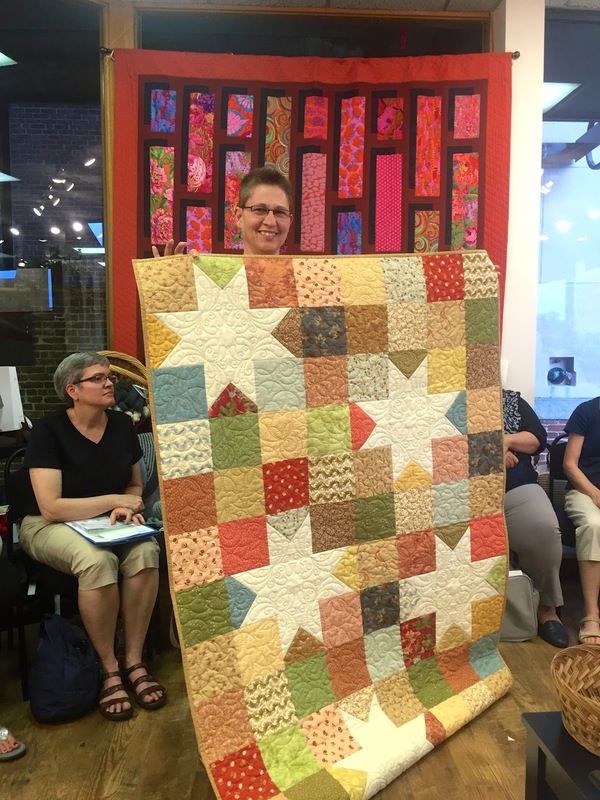 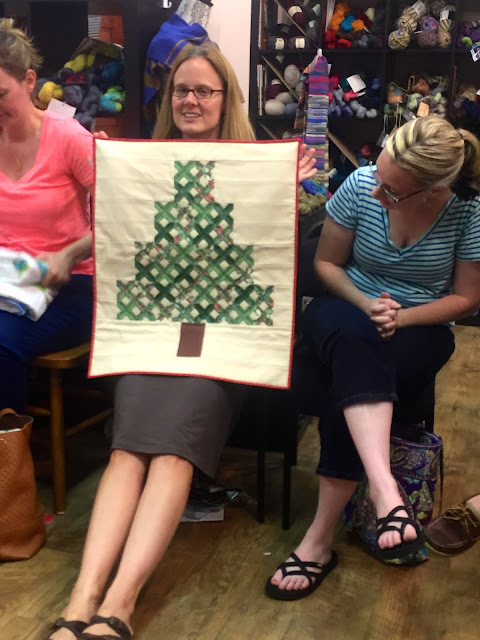 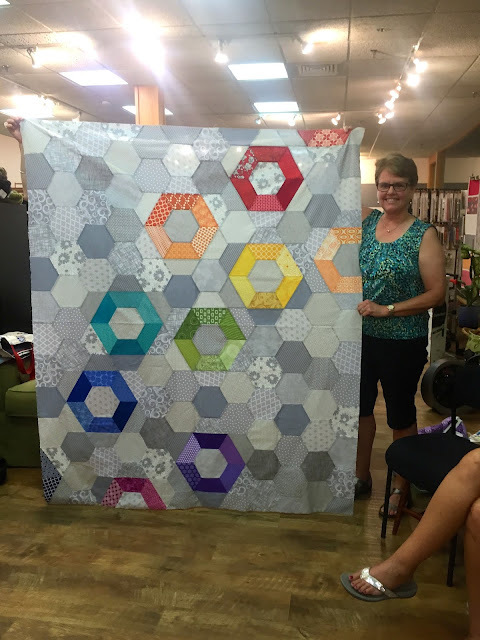 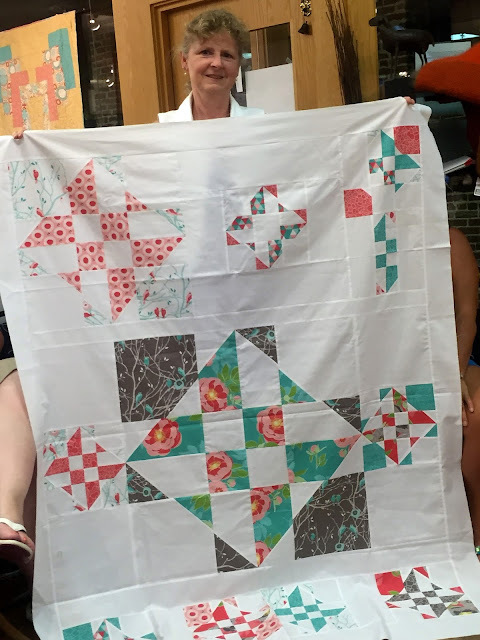 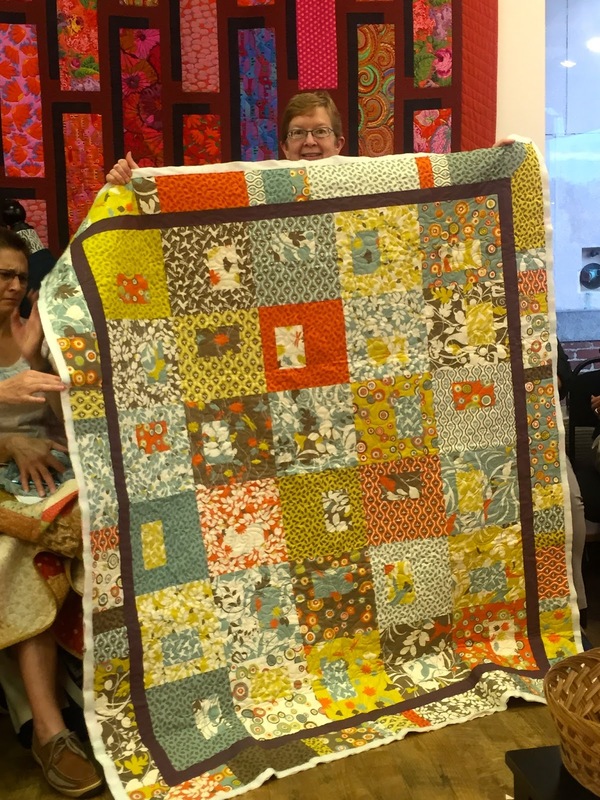 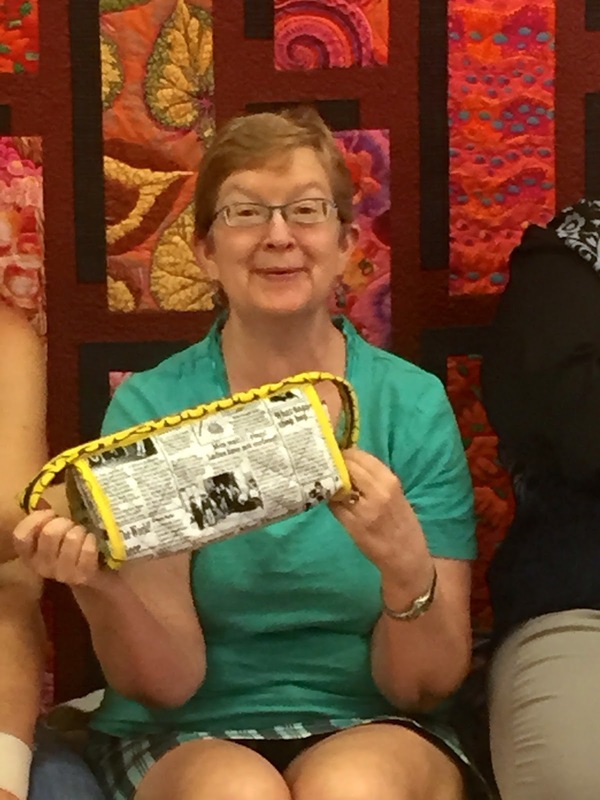 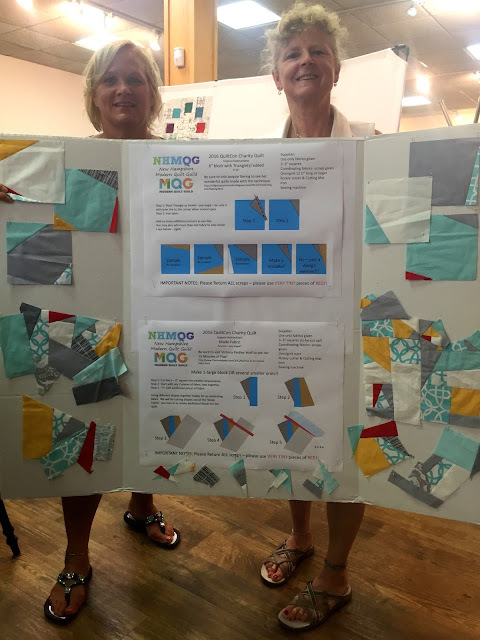 New Hampshire Modern Quilt Guild: Where did July go? 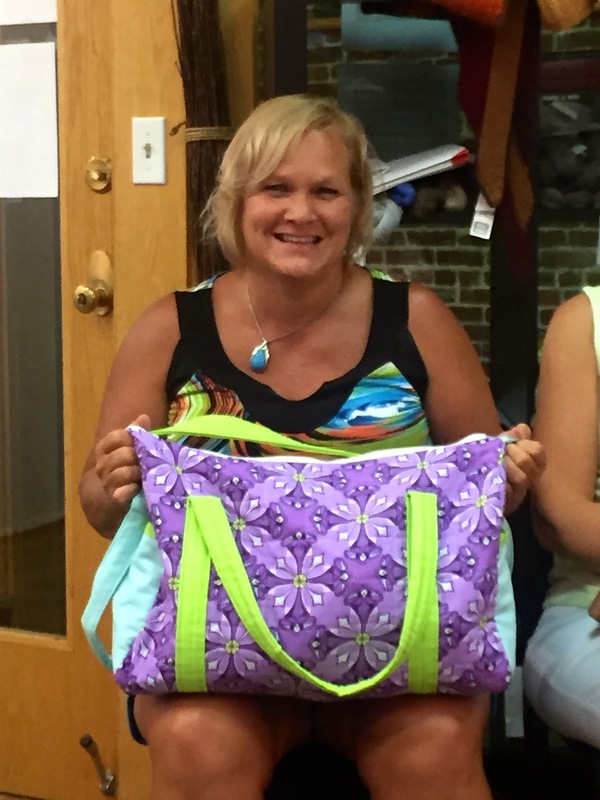 Nancy made a "sew together" bag by "Sewdemented"
to repair it. Thanks for sharing this treasure. 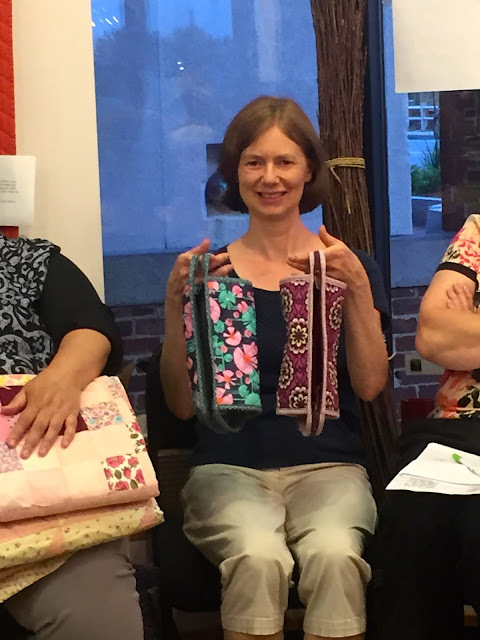 Debbie made 2 "sew together bags"! She also made this quilt for the "Quilted Living Summer Blog Tour"